Get All of My Live MTT MP3s and Save 25%! 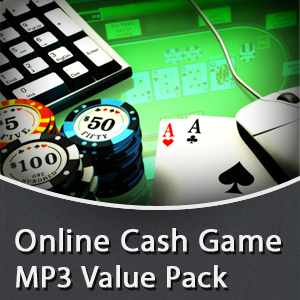 When you buy this MP3 bundle you will receive a zip file containing all of my Live MTT MP3s, and will save 25% off the normal price. 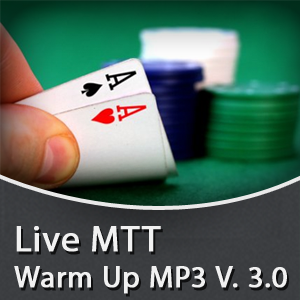 The original Live MTT Warm Up MP3 designed to help to reduce tilt, get in the zone, and play your A game more often. 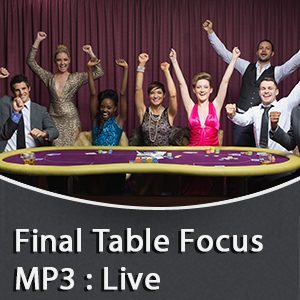 This MP3 is designed to get you back in “The Zone”, so you can play your best when you reach a live final table. If you bought these items separately in my shop you would pay $100, but when you buy this bundle your price is only $75. That’s a savings of 25%.